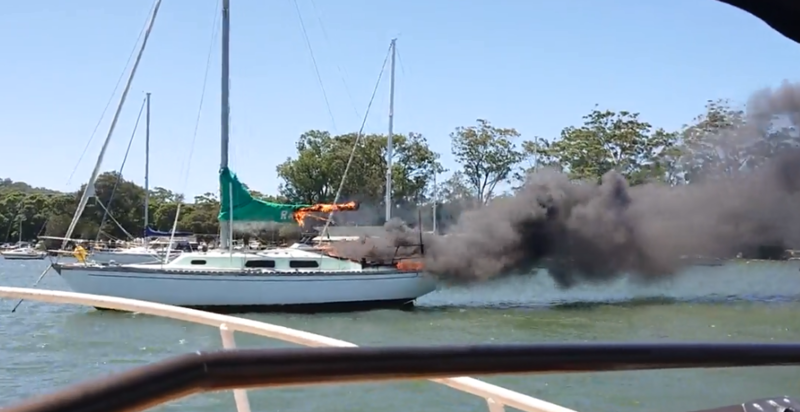 A fire has destroyed a yacht moored off Gosford today. Local boat owners watched on as flames engulfed the 36 footer around midday. Thankfully no one was on-board at the time. It took just 15 minutes for emergency services to bring the blaze under control. Devastated. This yacht was in my family for 35 years. My dad sold it a couple of years ago to someone who didn’t look after it – devastating way for the old girl to go after so many years of tender loving care.